The National Hispanic Heritage Month (HHM), which takes place between September 15th and October 15th, is a time when we celebrate the importance of the U.S. Hispanic population and the numerous contributions they’ve made to society. As an SMB, this represents a great opportunity to establish a deeper connection to the Hispanic community and to reach Hispanic consumers in a meaningful way. Here are three ways you can prepare and position your brand to celebrate HHM. Create a hashtag to encourage conversation and engagement in your community. This does not require a lot of effort and it can leverage your already existing social channels. Use a custom hashtag to let your social community know you care. Celebrate your staff’s successes and achievements pegged to this hashtag. One example of this is Disney and the launch of their #DisneyFamlia, an effort encouraging Hispanic employees to join the conversation during HHM. Many of the top brands have been proactive in reaching out to the Hispanic community during HHM. For instance, Macy’s HHM campaign, “Los Influyentes” (The Influencers), successfully ties its Hispanic merchandising with the cultural and traditional celebration of HHM. 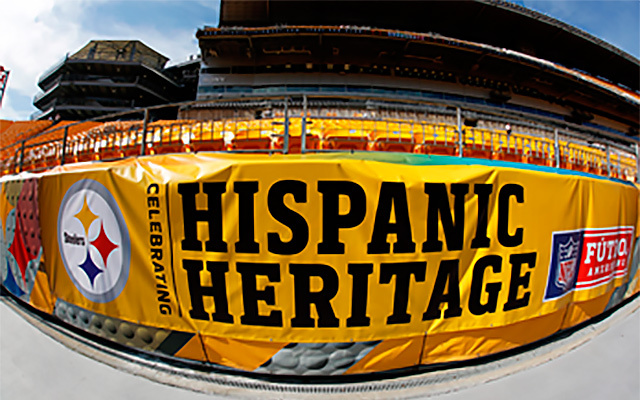 Another great example in sports is the NFL with the NFL Hispanic Heritage Leadership Awards, where they recognize the accomplishments of Hispanics across each NFL team market. Recipients are awarded $2,000 that they can donate to a charity organization of their choice. Macy’s and the NFL are certainly two great examples of programs you can adopt for your SMB. Being tied to certain Hispanic-focused organizations can increase your visibility and credibility among your community. Examples of these communities include the National Council of La Raza (NCLR), the National Hispanic Corporate Council (NHCC) or the United States Hispanic Chamber of Commerce (USHCC). Searchlatino.com provides a comprehensive list of different Hispanic organizations that support diverse issues and policies. The relationships with these organizations can bring effective optimizations on your outreach programs.